Ralph Edward “Eddie” Hilbus, 64, passed away March 28, 2018. Eddie was born July 3, 1953 in Kansas City, MO. He worked as a security officer his entire life. Ralph worked for Plaza Patrol, RJS, UMB Bank, Bank Midwest and Twin Cities. 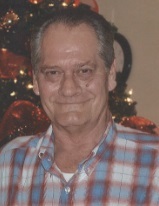 He was an avid hunter, fisherman and loved camping. Eddie was the goofball of the family, loved to tell jokes and give people a hard time; there was never a dull moment when he was around. Ralph was preceded in death by his parents Ralph and Annie Hilbus, brother Tommy Hilbus and sister Darlene Hilbus. Survivors include his wife of 37 years, Lynda Hilbus; son Shawn Hilbus (Brittany); daughter Amber Patterson; daughter Tricia Hilbus; eight grandchildren: Katelyn, Steven, Faith, Trey, Thomas, Cody, William and Cypress; niece Charlotta Cox (Joe); mother in law Norma “Momma”; brother in laws Ken (Janet), Tim (Melanie), Brian (Tammy); and many nieces, nephews, great nieces, great nephews who all loved him. Visitation will be 6-8PM, Monday, April 2 at Park Lawn, 8251 Hillcrest Rd., with funeral services 10AM, Tuesday, April 3 at Park Lawn; burial in Memorial Park Cemetery. Casual dress requested. In lieu of flowers, memorial contributions may be made to the American Lung Association. Life moves on like white caps on the lake or does it float slowly in the ripples? Time to relax, share laughs, campfire stories and smores. Life is a lot like a camping trip. You decide the pace of the journey, who swims and who’s gonna fish; those decisions you make to guide you through life. Sadly, too soon the journey is over and what do we have left? Memories, and the love of our family and friends.